All children will be taught to develop their techniques, including control and use of materials, with creativity, experimentation and an increased awareness of different kinds of art, craft and design. That they will use a wide range of materials creatively to design and make a multitude of products and use drawing, painting and sculpture to develop and share their ideas, experiences and imagination. Children will develop a wide range of art and design techniques in using colour, pattern, texture, line, shape, form and space and also learn about at range of great artists, craft makers and designers, describing the differences and similarities between different practices and disciplines, and make links to their own work. We strive to teach art and design that will excite, enthuse and grow our children creatively with passion. For September 2018 we have developed a new and dynamic art and design curriculum that develops skills and knowledge alongside other areas of the curriculum as well improving the children’s knowledge and understanding of artists. 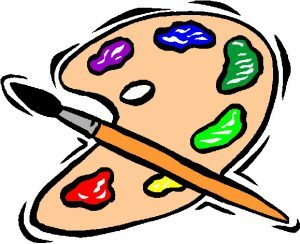 Our subject lead for Art and Design is Mrs Dougherty who is running an extra curricular club for art. Observational – ammonites – form, shape, tone – pattern and texture including shading and hatching. Different grades of pencil. using light and shade in art, matching colours to leaves etc – adding white. Artists: MONET Study MONDRIAN – use to create images of Hong Kong skyline. Design and make a patch pocket for Bill. Artists: Designs including patch pockets. Here you can find some resources related to the Art & Design subject.